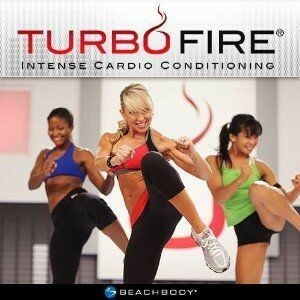 Turbo Fire is a 90 day workout program designed by Chalene Johnson to burn 9x more fat in your body compared to regular cardio. Chalene is best known for combining martial arts, dancing and music in her workouts, and while Turbo Fire is a high energy workout program, it’s been set up so even a beginner can get a firm grasp of the fundamentals before moving on to the more strenuous exercises. Disclaimer: Prices shown above have been sourced from individual gym visits and other online sources. They may not cover recent changes. Contact the gym directly to find the exact pricing information. The Fire Starter Class is designed to tone and improve your form so you can perform the moves needed in the program. As the starter program, Starter Class moves at a slower pace so you’ll be ready for the HIIT classes later. Next is the Low HIITs Low 20 Low 25 Classes, low impact but high energy workouts that will produce the AfterBurn effect that will keep your calories burning. The third is Fire HIITS: Fire 30, Fire 40, Fire 45, Fire 55 Classes, which are longer cardio HIITs that will burn even more calories. The Turbo Fire program also includes Extreme HIITs: HIIT 15, HIIT 20, HIIT 25 Classes, where you are pushed to the limit with one minute intervals, while the Stretch 10 Class focuses on flexibility, strengthening your muscles via warming down and preventing soreness. The last point is particularly important because one of the most frequent complaints concerning high intensity workouts is they leave the body feeling sore. With these routines that can be avoided. Turbo Fire also includes a Quick Start Guide to get you off and running, while the Turbo Fire schedule will guide you day after day for the duration of the workout. Chalene starts you off with the Fire Starter Class where you will learn the correct form and posture needed to pull off these routines. To get you ready the program has a couple of low impact, but intense workouts. Once you’ve tried those the next step is to go through more than a dozen classes with over 20 music mixes designed to shed those calories and fats. The package, which consists of 14 DVDs, is designed to push you hard, which is why the introductory classes are very important. Turbo Fire won’t just eliminate fats as it will also improve your aerobic skills and increase your fitness and flexibility. There are several movements that have to be performed here including plyometrics, dancing and kickboxing, usually in combinations. The majority of the movements is also high impact and requires plenty of pivoting and landing so for this reason, you need to be good on your feet and well balanced, something Turbo Fire teaches. The program also requires plenty of upper body twisting, meaning you’ll need to make sure your toes and knees are aligned properly which is why good posture and footwear are necessary. The nature of the routines also demands high energy and intensity, a level that is sustained throughout the program. There are several routines and moves you’ll need to master, but it shouldn’t take long if you follow the examples in the program. Fortunately there are several instructors on the DVDs that show you step by step how the moves are done. The most impressive and popular lessons in Turbo Fire are the HITTs because they’re energetic and easier compared to the other lessons. But don’t mistake easy and fun for reduced effect, because HITTs improves your fitness, flexibility, aerobic capacity and even lactic threshold. One of the most noticeable things about Turbo Fire is the emphasis on the torso’s sides, but your primary core muscles are given a full workout as well. The workouts for Turbo Fire are cardio based, and it’s a good departure from other fitness programs that put too much emphasis on weight lifting. Aside from the 14 DVD set, Turbo Fire also comes in a smaller 11 DVD set. The difference between the 11 and the 14 DVD set is that the latter has the Ab 10, Stretch 40, Upper20/Lower20, Fire 60 and an extra 30 minute workout video. The 14 DVD set is recommended for those who prefer the full workouts or have completed the original 11 DVD program. Turbo Fire also comes with a diet component called the 5 Day Inferno Plan, and followed to the letter it will burn pounds off your body. All the nutrients and stuff you need to buy are listed down, removing the guesswork as far as what food to eat is concerned. No expensive gear is required for the Turbo Fire program, but you need a good pair of shoes, one with a spin spot so you can pivot and jump from your feet’s balls, and low traction helps too. Finally, the program benefits a lot from Chalene’s high energy, and she keeps you motivated throughout the workouts. For more information about Turbo Fire, visit their official website. All prices provided on this website are estimates only. Contact your local gym to find the exact membership fees. Company trademarks are the property of the respective company and their presence does not necessarily mean that GymMembershipFees.com has an affiliation with the company.